Verbal bullying in schools starts young, but the emotional wounds it inflicts are difficult to detect and deter. Band Aid helps to heal emotional wounds, the same way they were caused- by words. Band Aid found a way to bring awareness to the intangible problem of verbal bullying, in a tangible way. 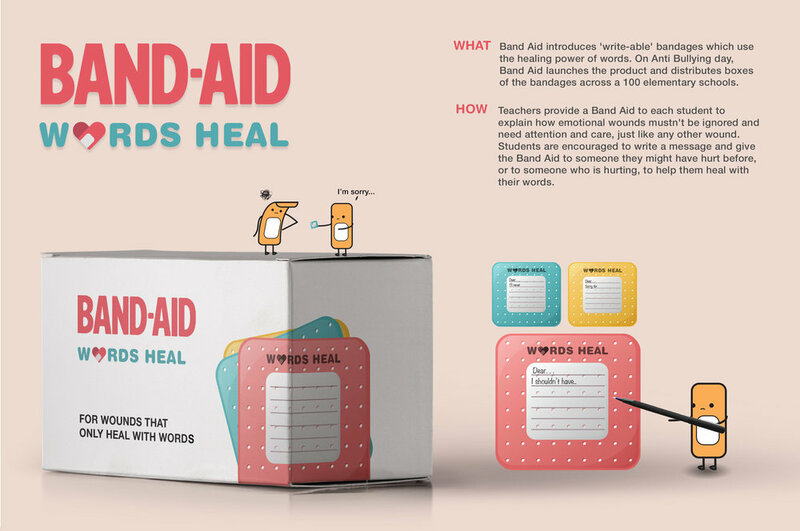 Children are always stuck to their digital devices and now, so are the 'Words Heal' Band Aids. 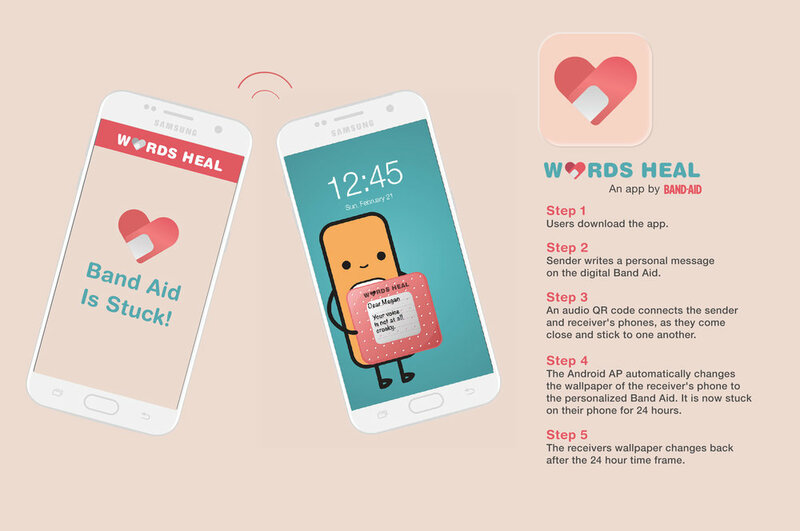 The Android app allows users to send each other Band Aids which stick to the receiver's phone, as a Wallpaper. Bullying that begins in schools often spreads outside its walls. The walls around schools are often vandalized with mean comments and foul language. Band Aid takes a stand and 'writes' a wrong by placing large 'Words Heal' Band Aids over negative graffiti.